No question about it, Portland is one beer-soaked burgh—and proud of it. But let’s talk “hard” cider for a minute; there’s nothing wrong with a little diversity for those of us born without a craving for hops, or who have dietary restrictions, like gluten-intolerance, a populace that’s approaching critical mass and adding new members daily. For the most part, we locals pride ourselves on being adventurous drinkers with taste buds that are easily bored. 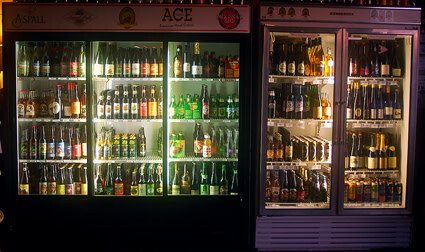 Naturally this restlessness leads to a proliferation of every kind of beer you can possibly imagine, as well as “alternative” spirits like coffee rum, apple brandy, mead, and cider. A tasting weekend on Distillery Row gives you a chance to try the first two, yet up until 10 months ago, there was no place in Portland to delve deep into the cider scene. Enter Jeff and Erin Smith, the owners of Bushwhacker Cider Bar (1212-D SE Powell,) in the Brooklyn neighborhood. “We originally wanted to start our own cidery, but after talking to some other local cideries we learned that it can be really hard,” Erin says. “Most bars only have one cider on tap that they know sells really well and won’t rotate it.” Seeing an opportunity to fill a niche, the Smiths vowed to create a bar that would be able to guarantee every cider maker a tap. 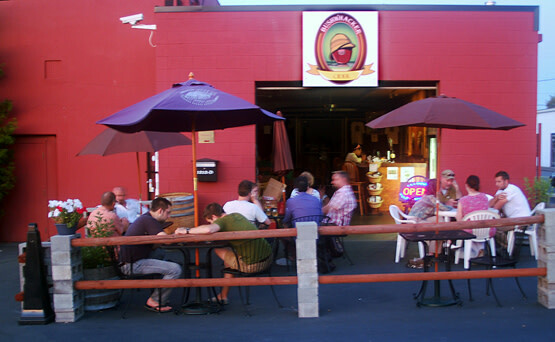 It’s clear that establishing a cider community is the focus of this converted garage watering hole, with a bottle cooler of 113 (soon to be 140) different cider varieties greeting you as you enter. Guests are here for the cider, as there are no video poker machines and no televisions to distract from your learning curve. The Smiths brew their own cider (with all-Oregon apples) in the fenced-off back area and Jeff is experimenting with a slew of flavor variations, like honey-sweetened cider, strawberry cider, and ciders made in a rum, wine, and whiskey barrels. And it’s not just gluten-free drinkers that frequent Bushwhacker. In fact, Jeff estimates that particular demographic makes up only about 25 percent of his clientele. So who are these people that pack the place, shoulder to shoulder, each weekend? The bartenders say that they get people who are burned out on hops as well as established drinkers who are looking for something lighter and less filling. “We get a lot of people who come in here looking for something different,” Jeff says. 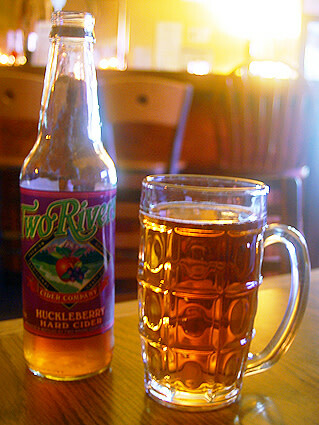 “Or we get some people who are expecting all ciders to be this really sweet, and I hate to say it, but ‘girly’ drink—here we can show them the variety that cider has, and recommend a drier one.” Bushwhacker also has established itself as a drinking destination, being the only dedicated cider bar in the country. As a result, the Smiths have met customers from across the states, Canada, and even England.